American clients who each hid more than 1 million Swiss francs in undeclared bank accounts with UBS AG between 2001 and 2008 could have their details turned over to the U.S. government, Swiss officials said Tuesday. The Swiss Justice Ministry unveiled the criteria used to determine which 4,450 UBS customers risk disclosure to U.S. tax authorities as part of a deal to end a major tax evasion investigation against the bank. The Internal Revenue Service had initially sought the names of some 52,000 American clients at UBS believed to be hiding nearly $15 billion. 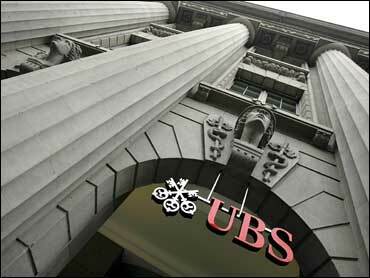 UBS resisted at first, but then agreed to disclose 4,450 names. Those targeted in the disclosure also include Americans, living in the U.S. or elsewhere, who controlled offshore company accounts in 2001-2008, the Swiss government said. Where there is evidence the clients engaged in "fraudulent behavior," such as by falsifying documents, the threshold for disclosure is lowered to 250,000 francs. Customers who earned an average of over 100,000 francs a year for at least three years will also be targeted. The equivalent amounts in U.S. dollars vary widely, as the greenback lost over a third of its value against the Swiss franc during the period. One million francs bought about $600,000 in 2001, while seven years later they were worth over $900,000. Switzerland agreed in August to hand over details about the accounts of up to 4,450 American suspected of serious tax evasion, after UBS acknowledged that its advisers had for years helped American clients hide assets from the Internal Revenue Service. The move was widely seen as a break with Switzerland's storied tradition of banking secrecy for foreigners, and coincided with a broader effort to shake off the Alpine country's image as an uncooperative tax haven following sustained pressure from Washington and other powerful governments. Washington's ambassador to Bern, Donald S. Beyer Jr., said last week that some 9,000 Americans with offshore accounts in Switzerland had already come forward voluntarily to take advantage of a U.S. government amnesty program. This could lower the number of Americans whose account details Swiss authorities have to hand over to their U.S. counterparts by the end of August 2010, according to the agreement. The amnesty program promised no jail time and reduced penalties for Americans who turned themselves in for failing to report foreign bank accounts. U.S. officials say more than 14,700 U.S. taxpayers with billions in offshore bank accounts in 70 countries . It wasn't clear how many had accounts with UBS. Swiss officials said the first 400 American clients will be selected for disclosure by the end of the week. A further 100 will be chosen by the end of the month. Affected customers can appeal the decision before Switzerland's top administrative court, which has the final say.